In recent years technological developments had led us to migrate from analog to digital platforms. This migration has opened new forms of content distribution. Currently, in addition to maintaining the traditional distribution channels, we can watch TV or listen to radio on line, watch the prerecorded content, request the content we want to see, etc. As expected, and as a result of the coexistence named above, for each generated content there are many different versions of it, each one is specially designed to be compatible with the different platforms to which the user has access. Additionally, digitalization has led to increase the quality standards of the content and much more storage capacity is required for safekeeping. Typically, the amount of material that is generated is bigger than what we can control or record. In consequence, in the medium term, we lose control of the content we had and where each material is, we produce more than one copy of the original material, not being able to value our content, etc. Therefore, the lack of control and management of that content leads us to higher costs in our operations, needing more storage, having important material losses, slower workflows, underutilized equipment, more staff, etc. At this point we must make the decision on how we will organize the content and, therefore, it becomes necessary to find a method that facilitates us to find (to know what we have saved and where) allowing us to access it safely, quickly, and easily at the same time. 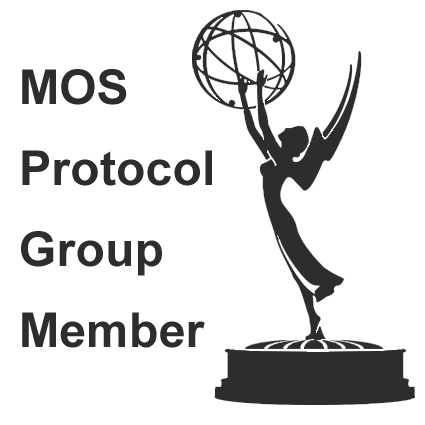 M-MAM, is a platform for management and centralized control of all digital content of the organization. It can ingest, store, catalog, search, control versions, control processes, control users, post on social networks, archive, etc. transparently and efficiently. M-MAMwas developed for channels, production companies or content generators, that need to quickly control and easily access all the content (assets) from one place. Consequently, any organization needs a set of tools to manage that content in all its different formats (videos, images, documents, audio, etc.). Content edition for broadcast or publication (news programs, shows, etc). M-MAM is born from the need to efficiently manage large amounts of digital files. It is designed for centralized control of all digital content (video, audio, images, text, documents and files) in different organizations: TV channels, production companies or content generators, etc., quickly and simply. Through its platform, specifically oriented to Broadcast solutions, it enables content management, ordering the digital library, defining different metadata templates and workflows depending on the content and on the needs of the company, leaving the assets ready to be manipulated at any time. So, it can meet the requirements of the different areas in the content production chain, managing the entire process from ingest and broadcast to archiving. M-MAM is developed to fit each customer needs according to their requirements with a fully modular and scalable structure, at a very low cost. Compatible with MAC®, Windows®, Android® o iOS® platform.